I have struggled with crafting green undergrowth/foliage for bases that doesn't have the fluffy look of Woodland Scenics foam products. 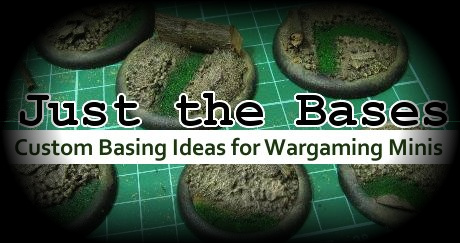 The other day I came across a tutorial on massivevoodoo.com(highly recommended site) that shows how to use blister foam from miniature packages to craft moss for your base. I think you'll find the technique incredibly easy to accomplish. I would like to thank Adary for his inaugural tutorials/posts on Forest Rock and Natural Texture basing to get us started!